Do you own a Auto Dealership? Do You Sell Vehicles? Then this is the best solution for your Auto Dealership. Nothing says that you are a professional Auto Dealership, like a professionally designed Auto Dealership Website. You know that all your competitors already have one, and if you are reading this, it either means that you are not happy with your current vehicle listing website, or you have not yet taken the important step of getting your auto dealership website off the ground. Either way you have come to the right place. 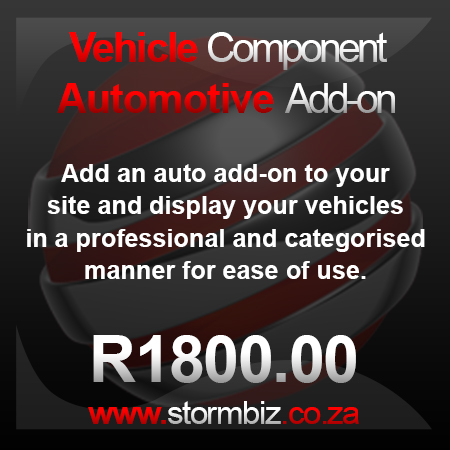 You now have the advantage of getting your Auto Dealership Website designed with a fully responsive website design. You may load all your vehicle listings yourself, however if you feel that you would prefer we manage your vehicle listings, leaving you to manage your business and sales, then we welcome you to look at one of our Auto Dealership Management Packages, to co-incide your new Auto Dealership Website. You will simply need to send us your latest vehicles, specifications, and images, and then we upload the vehicles to your site.